Pueblo’s boys soccer team gathered on its home field around 8:45 on Wednesday night to pose for a photo with the scoreboard in the background. It was a win to remember. Sophomore forward Rafael Torres logged a hat trick and the second-seeded Warriors rolled to a 5-0 win against No. 15 Kingman Lee Williams in the first round of the Division IV state tournament. Pueblo takes an eight-match winning streak into Saturday’s quarterfinal round, when it will face seventh-seeded Phoenix NFL YET College Prep in a 2 p.m. match. Senior forward Efren Robles got things started when he scored from the center and about 20 yards out in the 13th minute. Robles and the Warriors dominated possession in the first half but they were unable to find the net again on that end of the field. Things went differently in the second half. Robles appeared to have his second goal of the match, with a crease on the right side. But instead, he hit Torres on a cross to the middle for a score in the 50th minute. 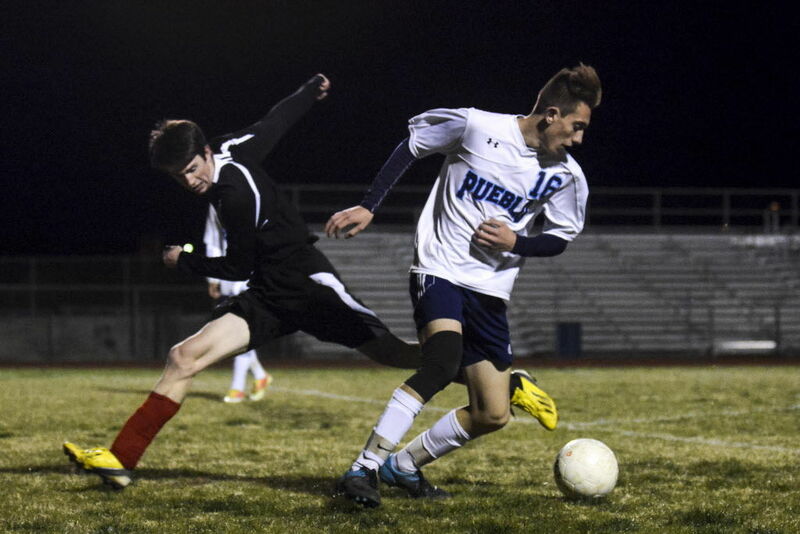 Just one minute later, Torres found an open net and put Pueblo up 3-0 with 30 minutes left in the match. Marco Rodriguez, a junior, added a goal in the 54th minute and then Torres struck again in the 56th, when he scored just before colliding with the Lee Williams goalkeeper. Torres stayed down for a moment but remained in the match for a few more minutes before a substitution. Eight Tucson-area programs advanced to Saturday's state quarterfinals. It's unknown when Carey Bauer will return to the team. Six Tucson-area teams advanced to Saturday's state quarterfinals.